Things elsewhere! Specifically on Book Riot. I did two guest posts and then an official one today. What! Excitement. Unrelatedly, I just bought a FANCIFUL AMOUNT of comics, but that is for another post, because what? Comics? Surely that is not you, Alice. And it is NOT, and yet it is happening. Fortunately it is also happening in time for C2E2, one of Chicago's many nerdfests, and THE ILLUSTRATOR FOR A COMIC I THINK IS BEAUTIFUL IS GOING TO BE THERE. And I am going to bugggggg him at his booth and it will be wonderful. 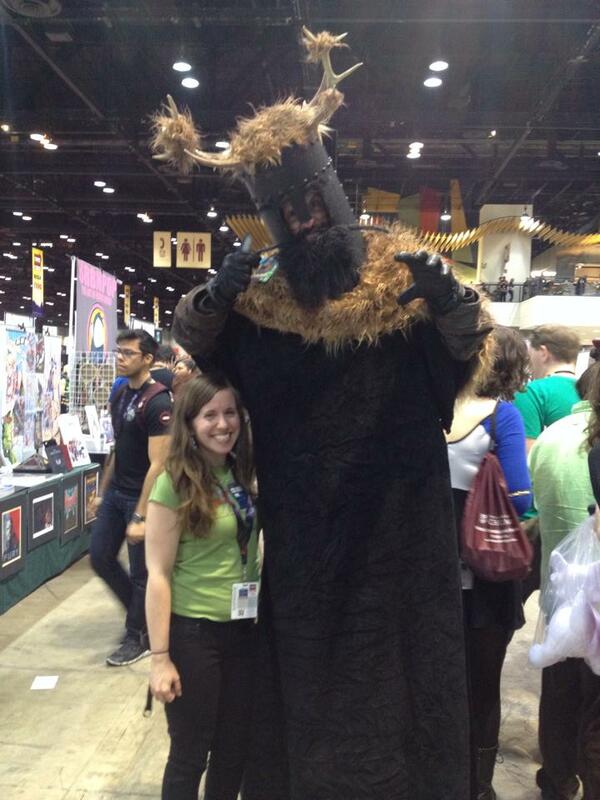 You guys remember C2E2 last year? So Book Riot and comics. Both very exciting. I honestly can't say which I'm more psyched for, because all I want to do right now is go home and finish volume 1 of Manifest Destiny. IT'S LEWIS AND CLARK AND THEY'RE FIGHTING MONSTERS.